Temecula dentist Ashraf Soliman, DDS, and his team provide comprehensive dentistry services, orthodontics, oral surgery, periodontics, endodontics, and pediatric dentistry in a comfortable setting. Coast Dental's lead dentist in Temecula, Ashraf Soliman, DDS, has more than 30 years of experience. I enjoy seeing the difference I can make in my patients' lives when I can alleviate their toothaches and improve their smiles. Residents seeking a new dentist in Temecula, CA, now have a beautiful, new practice available to provide them with high-quality family dental services, digital x-rays, orthodontics, and specialty dental care all in one convenient location. Coast Dental Temecula has opened near Best Buy in Butterfield Station, located at 32909 Temecula Parkway, Suite 102. For an appointment, call (951) 972-8080 or visit CoastDental.com today. Whether a patient needs a smile check-up or more extensive treatment, Coast Dental can help. 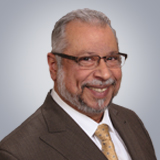 Lead dentist Ashraf Soliman, DDS, has more than 30 years of experience in dentistry. “I believe dentistry is an art as well as a science, and I enjoy seeing the difference I can make in my patients’ lives when I can alleviate their toothaches and improve their smiles,” Dr. Soliman said. The team members at Coast Dental Temecula believe your visit should be as pleasant and stress-free as possible. They take the time to get to know their patients and create customized treatment plans to restore smiles. Plus, the dentists strive to accommodate same-day emergency dental care whenever possible. The team is fluent in multiple languages, including English, Spanish, and Arabic. Patients will enjoy the friendly staff, comprehensive care, and advanced technology including a digital intraoral and panoramic x-ray system, laser-assisted dentistry, and oral cancer screenings with the Identafi 3000. Oral cancer has increased more than 225% in recent years, and the Identafi’s unique light spectrum helps dentists spot signs of cancer that are invisible to the naked eye. Early detection saves lives. Coast Dental Temecula accepts more than 200 types of dental insurance, offers dental financing plans for qualified patients, and accepts SmilePlus®, which offers savings up to 70% on dental services for patients without insurance. For office hours, money-saving offers, and more information, please visit CoastDental.com or call (951) 972-8080. SmileCare Coast Dental of California, Dental Group of Adam Diasti DDS PC, with its professional associations, is one of the largest providers of general and specialty dental care in the United States with 175 affiliated practices operating as Coast Dental and SmileCare. Coast Dental Services, LLC, is a privately-held practice management company that provides comprehensive, non-clinical business and administrative services to its affiliated practices. The company is headquartered in Tampa, Florida. For more information, visit CoastDental.com.